Combine some of the most exceptional religious sights in France with others that are not as known, but equally as moving and inspiring. The cathedrals in France have such a unique history and beauty that you will delight as you explore them from centuries past. This journey will take you to the places of miracles and years gone by. It is a journey of faith and inspiration. This carefully designed tour does some of the most sought after Sacred sights in France, but also incorporates some interesting stops that most travelers to France may not see. Our group tours can be customized as desired for groups and individuals to meet your interests. Our tours are just ideas of what is possible. Transfer upon arrival at Paris CDG Airport to Paris city center hotel. This afternoon is on your own to relax or sightsee. Diner cruise on the river Seine offering an all-inclusive menu with starter, main course, cheese (depending on the service), desert. Beverage included: aperitif, wine*, mineral water and coffee. After dinner your English speaking driver will take you on an illuminations tour of Paris and then dropping you off at the conclusion at your hotel. After breakfast an independent visit of the Miraculous Chapel, a pilgrimage site that is visited by many and treasured for the appearance of the Blessed Virgin to Saint Catherine Laboure in 1830 to offer the world the miraculous medal that we know today. 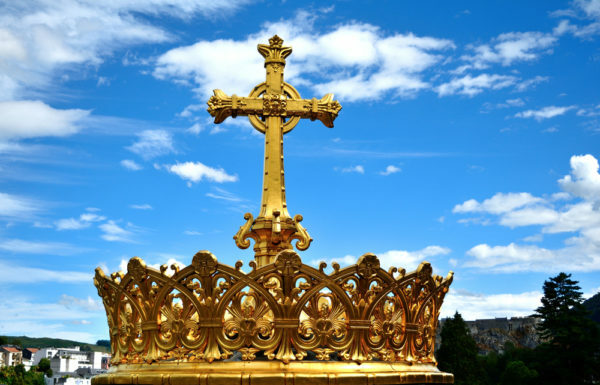 This simple object, intended for all people, making no distinction, sums up the mysteries of Christian faith through its rich symbolism. When a deadly cholera epidemic broke out in Paris in February 1832, claiming more than 20,000 lives, the Sisters began distributing the first medals. Many cures were reported, and the people of Paris called the medal “miraculous”. Next you will be able to explore the Musée de Cluny, you will find yourself in exceptional surroundings which join together two prestigious buildings in the heart of Paris: the Thermes Gallo-Romains de Lutèce (Gallo-Roman baths), built at the end of the 1st century and the Hôtel des Abbés de Cluny, built at the end of the 15th century. You also have access to a large collection of art from the Mediterranean, Scandinavia and the British Isles. Colorful, diverse and sometimes strange, the collections include paintings, sculptures, tapestries, stained glass, and silver and ivory pieces which give you an insight into the history of art. The medieval inspired garden is another place to see when you visit as it provides a link between the collections, building and urban surroundings. Your afternoon will be spent in the Montmarte. Your guide will direct you with a brief history of the area and the Basillica Sacré-Coeur before giving you free time to explore the area on your own, and stop for lunch. 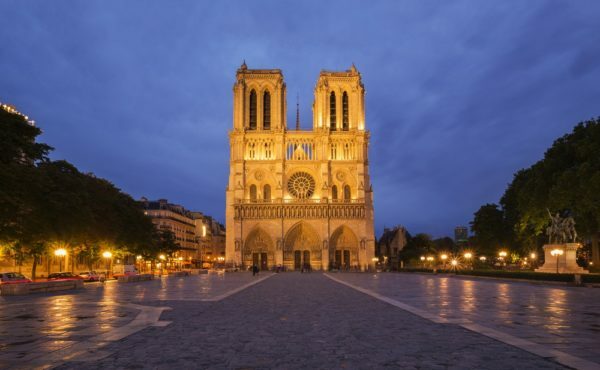 The Basillica was consecrated in 1919, is one of the most iconic monuments in Paris. At the top of the Butte Montmarte, it provides one of the most beautiful panoramic views of the capital. Dinner this evening is at a local restaurant. Today after breakfast you have a guided visit the beautiful Cathedral Notre Dame de Paris. Notre-Dame, is a historic Catholic cathedral on the eastern half of the Île de la Cité in the fourth arrondissement of Paris and still the religious center of Paris today.This afternoon we will transfer to Chartres for a visit of the Chartres Cathedral, also known as Cathedral of Our Lady of Chartres, is a medieval Roman Rite Catholic cathedral known for its amazing stained glass windows. After breakfast you will catch a high speed train to Avignon. 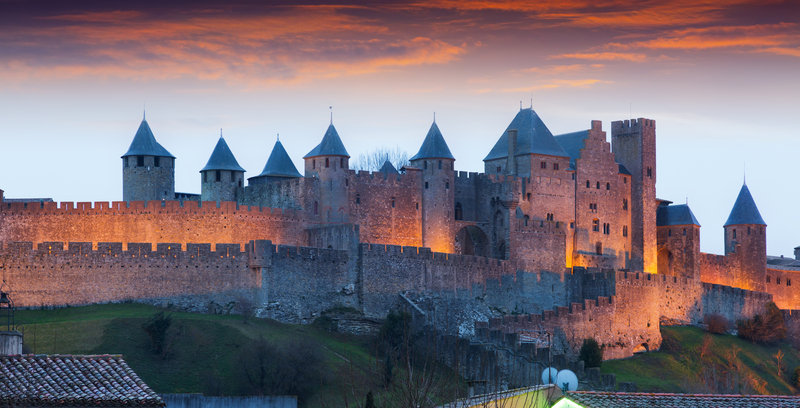 Enjoy a walking tour of this medieval walled city. The Palais des Papes was once home to the pope and quite different than the Vatican structure in Rome. The palace was fortified to withstand attacks from enemies, so you’ll find battlements, turrets, arrow slits and deadly gateways. After a visit to the palace, a walk up to the Rocher des Doms. This park offers views over the town and its famous bridge, the Pont St-Bénezet. This medieval bridge was once nearly 3000 feet long and had 22 arches. 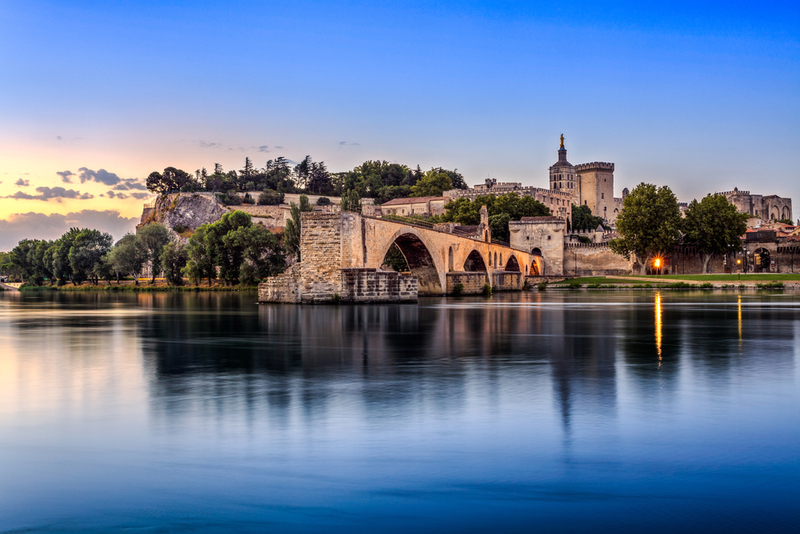 A flood in the 17th century reduced it to 4 arches and now it has been made famous by a children’s song “Sur le Pont d”Avignon”. 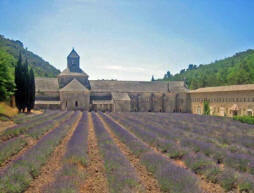 Begin with a visit to the Sénanque Abbey set in its green valley, the Bouillons oil press and the cellars of St Firmin’s s Palace. 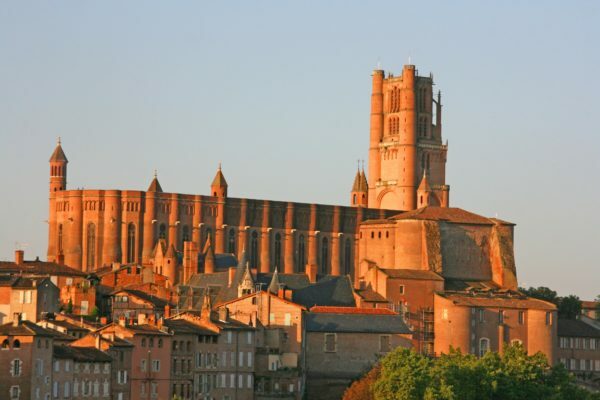 Finally you will move on to the village of Apt and a stop one of the most beautiful cities of France that is famous for its weekly market and candied fruit. Situated on the ancient Domitian road, its downtown, grouped around the Cathedral Sainte Anne, once occupied an island. The city was built in 45 BC on order of Julius Caesar. 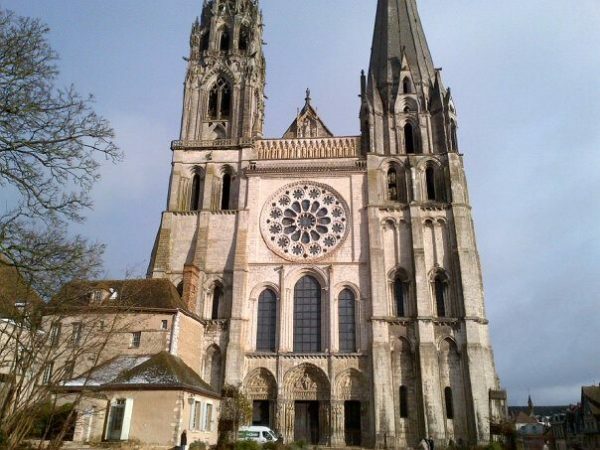 The Cathedral Sainte Anne is the most important monument of the city, with its Merovingian crypts its Treasury and Royal chapel built by Anne of Austria. Lunch in Apt and then a visit to the village of Gordes. The village can boast about being amongst one of the most beautiful villages in France. It has narrow cobble streets which thread their way through tall houses; built againt the rock, clinging onto its flanks and whispering the tales of a thousand legends. Gordes is also proud of its castle firmly planted in its very core and which reminds the passer-by of a past rich with conquests , but also marked with the sufferings of its inhabitants. Today, the castle is both town hall and a museum sheltering the works of the painter Pol Mara. Leave Avignon this morning after breakfast for Saint Maximin la Beaume for a walking tour of the village and a visit to the Basilica. This small town is gathered around its magnificent basilica, the largest Gothic edifice in Provence and south-eastern France. The basilica houses the relics of Saint Mary Magdalene, and is known to be Christianity’s third most important tomb. This afternoon we will continue on to Cassis for a boat excursion to see the Calanques. Cassis was a very ancient fishing port and is an interesting village to visit and surrounding by the Calanques that are impressive limestone cliffs that plunge into the Mediterranean. Evening on your own in Aix en Provence for dinner and to enjoy this beautiful Roman city. Market Tour this morning in Narbonne followed by lunch in Lastours in the shadow of the Chateaux du Lastours. The Cathar castles are four castles on arocky spur above the village. Then after lunch, a tour of the medieval village of Carcassonne. This evening is one your own to enjoy the city. illustrate each facet of his multifarious and innovative talent. This afternoon we make our way to Toulouse for some freetime and dinner on your own. Morning departure for Lourdes. You will have plenty of time to visit of the Grotto where Bernadette Soubirous had mulltiple visions of the Blessed Virgin Mary. We can arrange a mass or service if your group desires. Individuals can join masses throughout the day as well. Don’t miss the candlelight procession this evening it is a very moving and prayerful moment. Transfer to CDG airport for departure of your onward journeys or your trip home.